But caviar, sushi and burgers are all food types that have to be dealt with under conditions featuring stringent hygiene. And they all have one thing in common – that Vikan equipment for cleaning up after them is available in the US, Russia and Japan – as well as numerous other countries throughout the world! At first glance, it seems a bit weird to combine caviar, sushi and burgers in the same sentence. Firstly, because you’d never normally ever eat these foods together – I certainly wouldn’t want to – and secondly because they seem to stem from very different cultural backgrounds! However, they do have one thing in common – every company involved in producing caviar, sushi and burgers can benefit from using Vikan cleaning tools in their production facility. Although the company was first set up in a small town in mainland Denmark, Vikan is now a global operation that reaches out to more than 75 countries throughout the world. This all bears witness to a company willing and able to adapt to local requirements and to respond to market conditions as well as listen to specific requirements and wishes from our end-users as well as our distributors. To be able to be close to customers, Vikan has established its own branches in the UK, Germany, France, Scandinavia Russia and Japan and is also deeply rooted in the US, which is currently our largest single market. And, of course, we export to lots of other markets, too! Each and every market has the one thing in common that we all take hygiene very seriously – regardless of where we come from or what we eat. As a consumer myself, I want to be sure the things I eat and drink are produced with stringent attention to good hygiene practices. 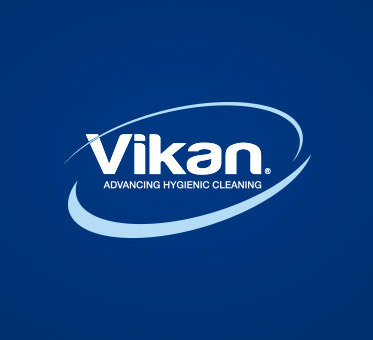 That’s why I really favour Vikan’s absolute focus on rigorous hygiene and high quality in cleaning systems. Just to mention some features, this involves dividing food and beverage manufacturing facilities into colour-coded zones that make it easy to know how and where to use the specific types of cleaning equipment available at the plant. If you’d like to consult our experts to find out more, please go to the “Knowledge Centre” menu on our website or read some of the more specialised blog posts by Debra Smith, Vikan’s Global Hygiene Specialist.